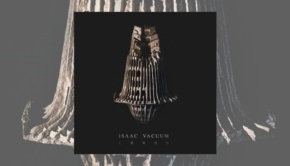 I’m listening to Isaac Vacuum’s eponymously entitled EP. 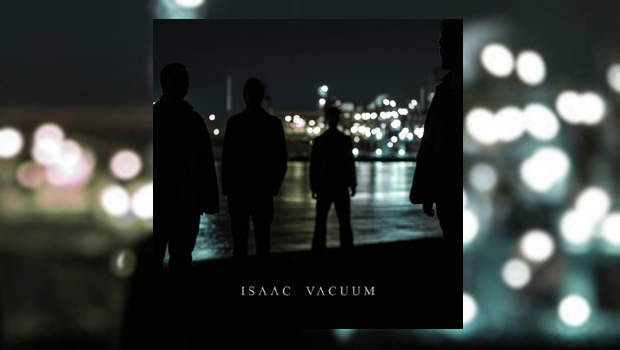 Based in Krefeld, Germany, Isaac Vacuum describe themselves as Post Rock. I’m not sure what that is, but they manage to put together something that sounds as menacing as your yardstick for “heavy” at their most heavy, as nu metal as KoЯn at their most nu metallic and as curiously dissonant yet melodic as Deftones at their most curiously dissonant yet melodic. This is the sort of stuff I go for. To me this is Progressive Rock with a hint of Metal. That may be what you people call “Progressive Metal”. It is full of paradoxical opposites. It is ominous, heavily made and definitely of the Machine Age and at once visceral and cerebral, mathematical and rhythmical with heavily arranged tempo changes. It flows like a river and appeals to my animal instinct. According to their press releases, Dan Mueller and Philipp Maike have been playing together for years in other bands and projects. This is reflected in their playing and, as in any band with this kind of relationship, the benefits are seen in the playing of the other band members. This is a cohesive collective of musicians that transcends the relationship between Dan and Philipp. Drummer Michel Schallenberg is evidently capable of punching out sympathetic fills and tempo changes that re-enforces the cohesive approach with ease. The palette of sounds used is not limited to this essentially guitar-based collective. Though nobody is credited with bass, Stefan fills in the melodic bass lines with his growling Touch Guitar and subtle synthesizer contributions, adding still further to the overall sound of the collective and pinning it down. The voices are harmonised but these are harmonised vocals, not harmonised singing as such. This makes the voices blend with the music to make them an integral part of the overall sound. As it should be. I thoroughly enjoyed this short introduction to Isaac Vacuum. This may be a short review for a short piece of work, but I urge you to look out for this band.